I have so much incoming mail to catch up on! The summertime is really the worst time for me, productivity-wise (and, well, everything-else-wise because I hate summer). Although I became a super hermit during the sunny months, I also did not get anything done while at home. I hung out in my living room with 3 fans pointed at me at all times. I don’t really send a lot of postcards these days. I’m not active on Postcrossing anymore and I never think to pop a quick postcard in the mail to say hey. 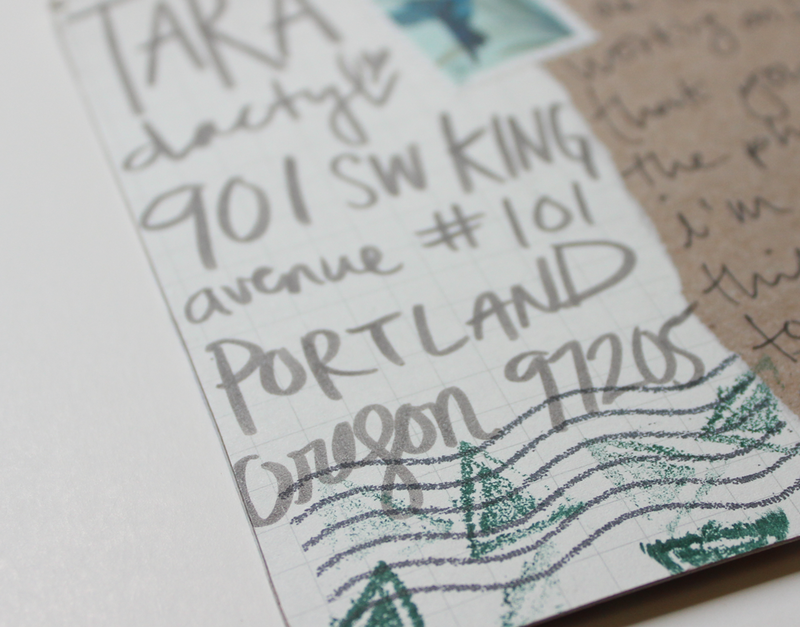 Sending mail is somewhat of a complicated process for me, though, so I think I like to reserve it for actual letters. People still send me postcards though. How nice of them! I really enjoy all of the little things you can do to spruce up a postcard. 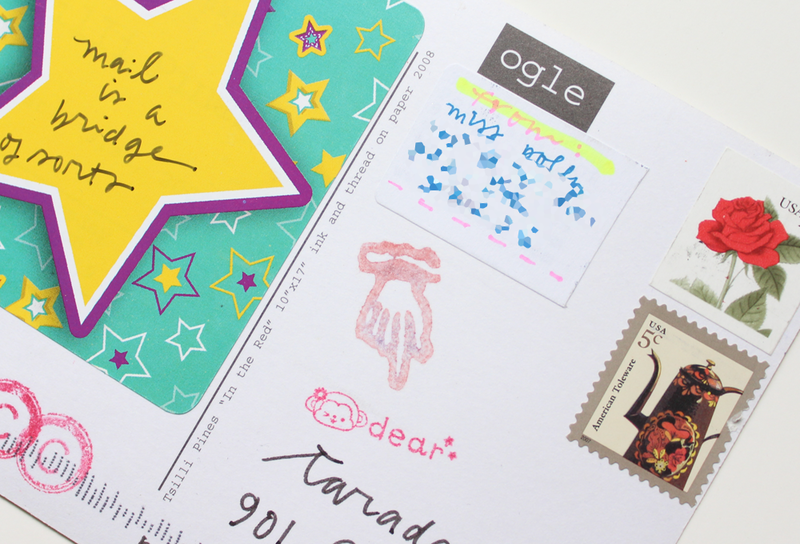 A stamp, sticker, or even some fun handwriting can go a long way. I am also really impressed by folks that can fit a lot of text on their postcards. I feel like I can write like 3 sentences and then it’s full. I probably need to write small but how do you even do that? Hah. You guys, Portland is getting hot and I can’t stand it. I long for an A/C and wait for the sun to go down each day. I lose what little motivation I had when it’s warm. Go away, summer! In other news, here are some fun postcards I’ve received lately. I don’t send, or receive, postcards that often anymore. I used to be pretty active on Postcrossing, Swap-bot and Sendsomething, sending postcards to randos across the world. They are easy and don’t require much effort. Why do I stop? The below postcard is from a super talented mail artist, Allison Anne. 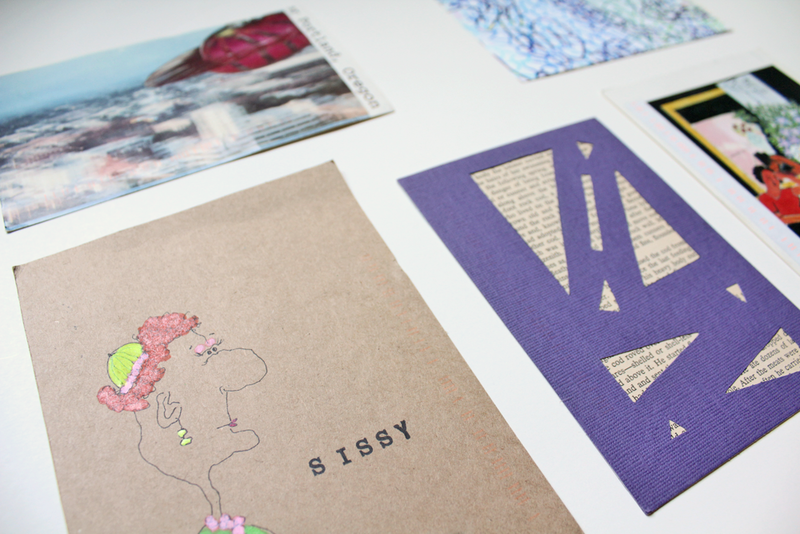 I love everything about the postcard she sent, her handwriting, the drawing, the collage, the postage placement. It’s so lovely! 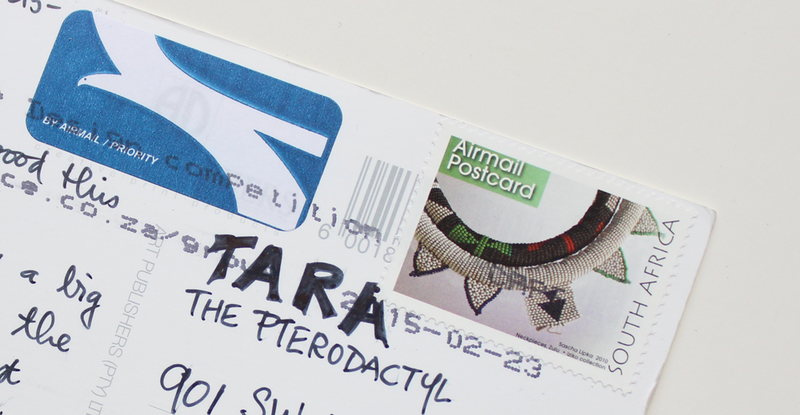 One of my favorite things about the mail I receive is that almost everyone addresses their mail to me as “TARAdactyl”. It’s so great. I love seeing my nickname written in all different handwriting and colors. 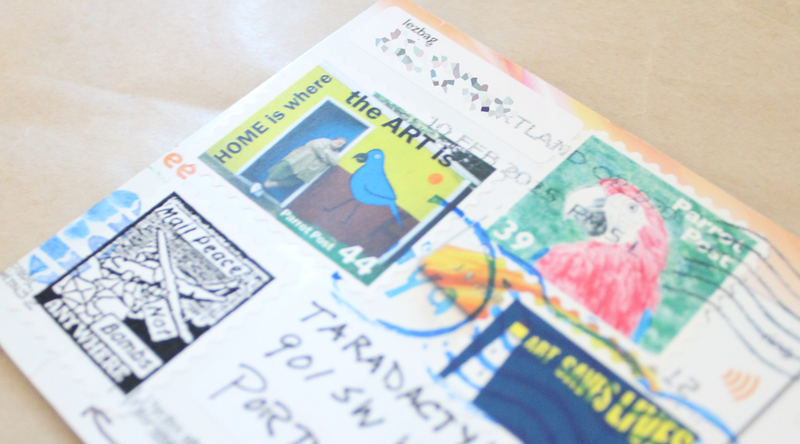 Postcards can be challenging for me because I love to include a variety of postage, stickers, doodles, and whatever I can fit on the card. That usually isn’t a lot. I need space! In addition to decorating the card, I love to include a long message as well. Usually I have to sacrifice one for the other! 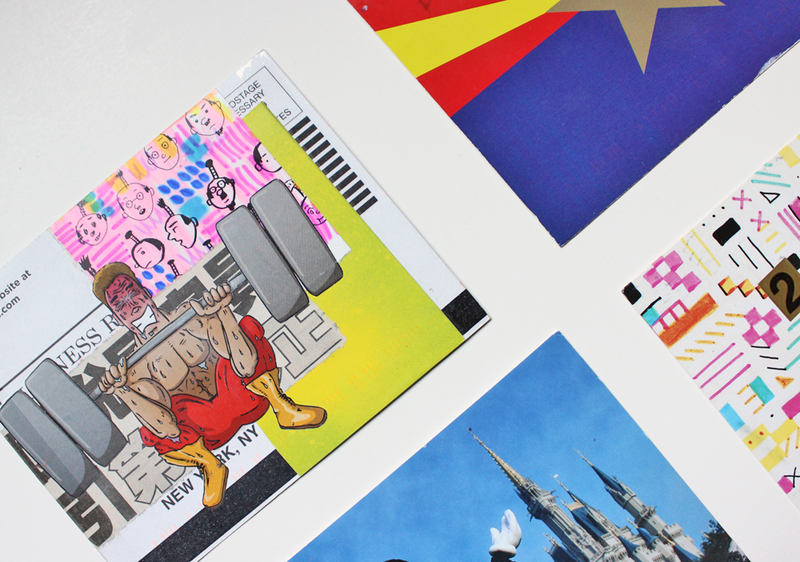 Do you like decorating the postcards you send?